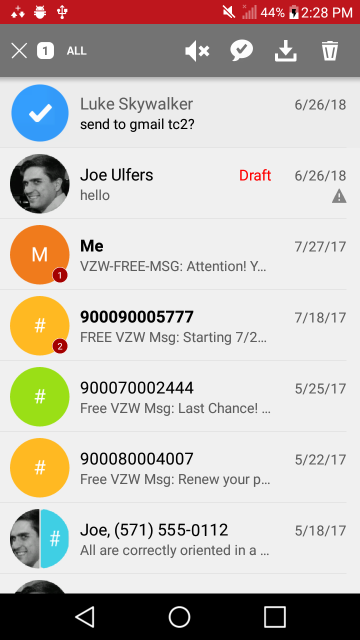 This site displays backup files created by the Verizon Messages+ app. To create a backup file, follow these instructions. Wait for a notification that the messages saved successfully. You’ll now have a file you can open on this site. 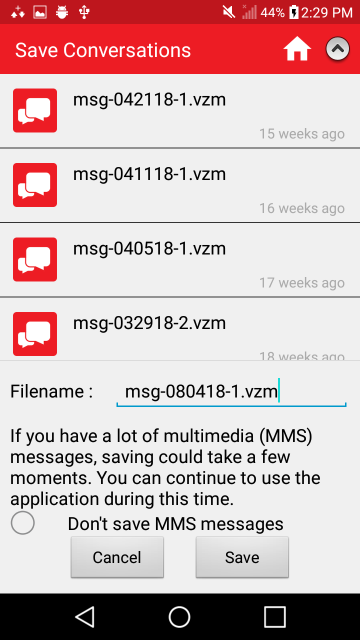 It will be in the phone’s VZMessages folder, with a .vzm extension and you can use the phone’s file manager app to find it. If your phone didn’t come with a file manager, you might need to install one, such as Amaze or X-plore. The backup will also create a folder named to match the .vzm file’s name. When you see a reference to “[Attached text]” or “[Image]” in this viewer, it’s a link to files in that folder. You may want to copy the files off the phone to a home computer. There are many ways to copy a file from your phone, but it’s often easiest to email it to yourself. To copy many files, consider Dropbox. 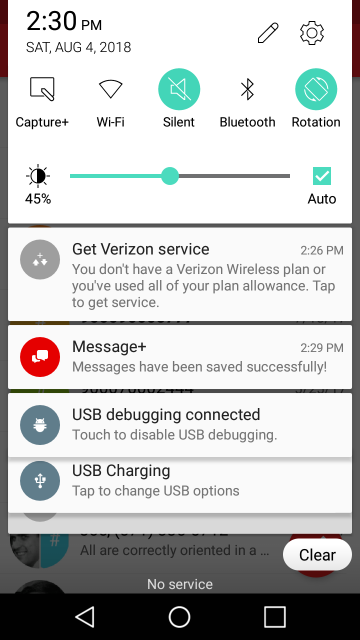 This viewer renders backup files from Verizon’s Messages+ app. 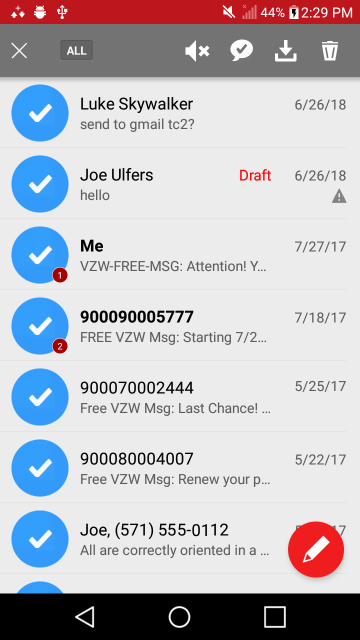 It may be useful for Verizon messages that the Text Collector Android app can't access.